West Branch Susquehanna GeoTrail - The GeoTrail is a unique journey through history and across the varied landscapes of the West Branch. Using the river as a guide, the GeoTrail unites 24 cultural, historic, and natural sites that are part of the Susquehanna Greenway. As you search for the hidden caches, learn about important events, people, and natural resources along 228 river miles of this National Recreation Trail and National Historic Trail. Are you ready for an outdoor adventure? Looking for a fun way to experience history, nature, and the River? Explore the West Branch Susquehanna GeoTrail! 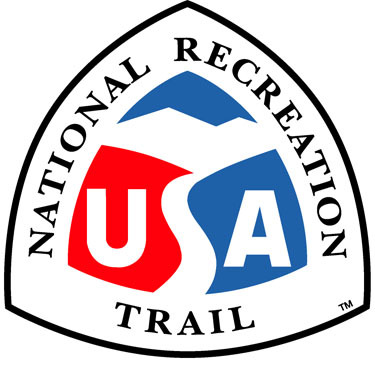 The GeoTrail is a unique journey through history and across the varied landscapes of the West Branch. 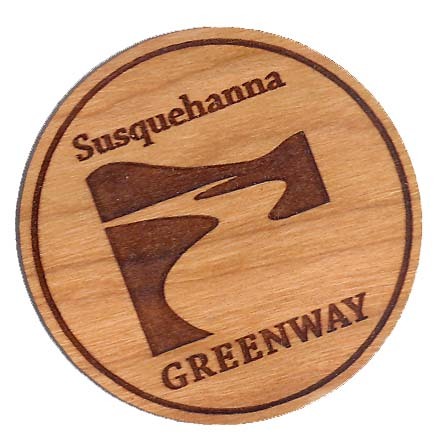 Using the river as a guide, the GeoTrail unites 24 cultural, historic, and natural sites that are part of the Susquehanna Greenway. Find caches along the river, trails, parks, and in historic river towns! As you search for the hidden caches with a GPS or GPS enabled smartphone, learn about important events, people, and natural resources along 228 river miles of this National Recreation Trail. Because of its historic importance, a section of the West Branch Susquehanna River Water Trail has also been designated as a Connecting Trail to the Captain John Smith Chesapeake National Historic Trail! Download and print your passport. Locate at least 15 West Branch GeoTrail geocaches. Record the code word from the cache in your passport! Take a picture of yourself at the cache location with the container and post it to the corresponding Geocaching.com cache page. You may cache in groups, however, your log must include a picture of you. Help keep our River and Greenway clean, pack out any trash you find along the way, thanks! Cache In, Trash Out! Coins will be awarded to the first 500 people to complete at least 15 caches! 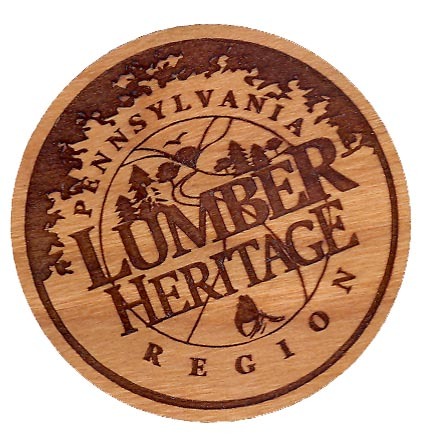 This comemorative geocoin (front/back) have been crafted in Pennsylvania from native PA hardwoods. Only 500 will be produced! Conservation and Natural Resources, Bureau of Recreation and Conservation.